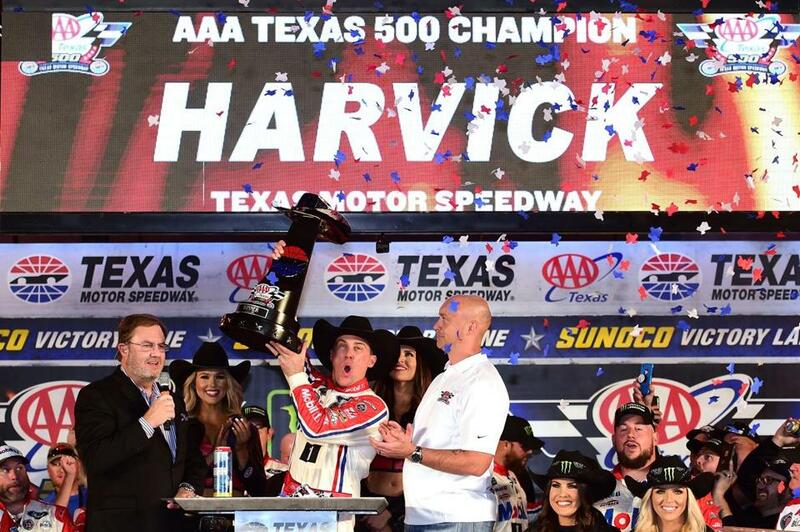 Kevin Harvick celebrates his NASCAR Cup Series win at Texas Motor Speedway, but his hard-earned place in the final four was taken away Wednesday. The illegal spoiler was not found until the No. 4 Ford received a thorough inspection at NASCAR’s Research and Development Center when it was returned to North Carolina after Sunday’s race. An inspector at Texas thought the spoiler looked off, but Miller said it had to be removed from the car. Once that happened, it was ‘‘100 percent, as black and white as it gets,’’ Miller said.